This week I’ve been in St. Petersburg, Russia because this is the home of Rembrandt’s paiting, The Return of the Prodigal Son. 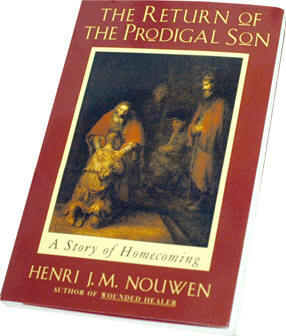 We have been shooting a documentary about Henri Nouwen and his very interesting relationship with this painting. We were granted the rare opportunity to shoot the actual painting as it hangs in the Hermitage Museum. It’s really amazing to stand in front of it, even more so to work “with” it. As with many of my projects recently, we shot it with the Canon 5D Mark II. It was a very overcast day so we didn’t have much light coming from the windows, nor are the gallery lights very bright. We brought in a small light kit to supplement the exposure a little, but I found myself having to have to use a higher ISO than I wanted. At 1250 ISO, the images were a bit noisy, but not too bad. For some shots that didn’t require much movement, I went down to 640 ISO and dragged my shutter a bit down to 1/30th of a sec. We used a MicroDolly without tracks for any shots with camera movement since the floor was so smooth. In fact, on one dolly shot I did, we didn’t even use the dolly at all! I just dragged the tripod across the floor about two feet and it worked great!